David Powers King: On Sale Now! Discounted Books Perfect For Halloween Reading and IWSG: Flowing Words and Genealogy! On Sale Now! Discounted Books Perfect For Halloween Reading and IWSG: Flowing Words and Genealogy! 100% of the proceeds from this anthology will be donated to the Gary Sinise Foundation, an organization that does many wonderful things for our country's active military, its veterans, and the countless first responders who sacrifice so much to keep us safe. 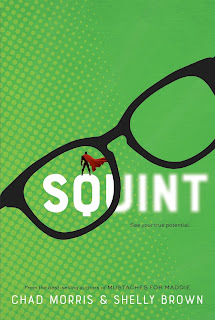 Also releasing this week is a new powerhouse of a novel by Chad Morris and Shelly Brown called Squint, the story of a young boy who is trying to finish his comic before having a corneal transplant. From the same team who gave us Mustaches for Maddie, this novel places kids in tough situations in a way that is very real and touching. It's the first Wednesday of the month, which means it's time to get insecure! Special thanks to Alex J. Cavanaugh for creating/hosting the Insecure Writer's Support Group, a monthly forum for writers to share insecurities without fear of reprisal. Ushering in October is a breath of fresh air. It's my favorite month for a number of reasons, and so far it's been good to me. I may have presented myself as something of a downer in my last post, but I am grateful. After such a long absence, I could be real and be received well. I thank you for your understanding through this transition. While I continue to manage my anxiety and depression, it hasn't been a headache to do so this month. And I'm happily reporting some 10K words clocked for September! That may not be a lot considering 10K is a couple days work for some, but that's a huge step in comparison to months of 0K words. Should the next couple months yield the same results, I should have a working draft of My Zombie Summer: Part 2 finished well before Christmas. Get excited! It's coming! Finally, I had the privilege to attend a gathering of distant relatives who share a common ancestry with a fellow named Edmund Rice, who was a colonist of what would be the United States of America. I thank my father for discovering this association. It was a blast to connect with people from the past and catch a glimpse of where I came from. That's all for now. See you again next month, if not sooner! What gets you excited about the month of October? Got any creepy plans this month? What have you learned about your ancestors? Ten thousand is a lot! Good job. 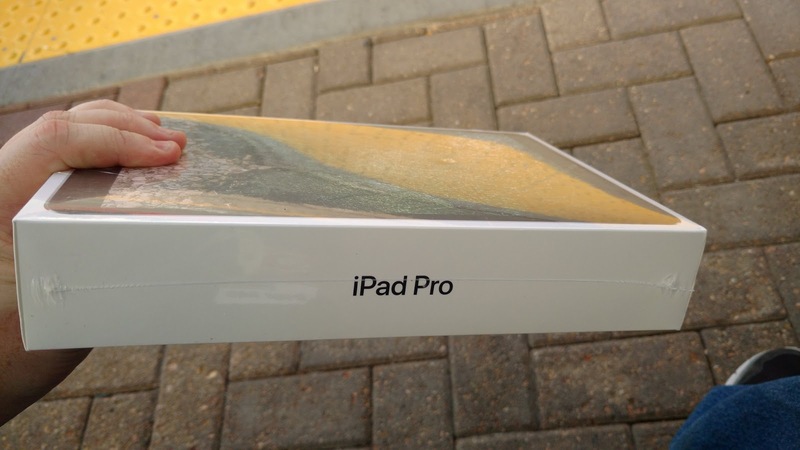 You are so going to enjoy that iPad Pro. The number of words isn't as important as just moving forward. 10 K is epic! Way to get words on the page! If I could get down that much right now, I'd be in heaven. Count the small successes, eh? You rock! Congratulations on a super-productive September. Enjoy your new writing tool, and happy writing in October. So good to hear you are in the writing zone. 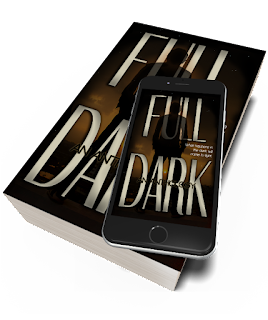 Hard to believe it's been a year since Full Dark came out. A wonderful book from such a fiasco of a beginning. You are rockin' it David! So happy to hear you upbeat and productive. Don't mock 10,000, it's a great number! I can't wait till your next Zombie book comes out, waiting impatiently... I'm hoping October is pretty in Ohio. This is our first one here... I LOVE learning about my ancestors and wish I could devote more time to the search, but stories must come first! Thanks for dropping by my blog! Glad you are feeling better and getting some writing done. I'm still at writing none of my own writing. Ten thousand is not a walk in the park! Congrats on the goals. I take it one day at a time, life and writing. 10k in a month sounds fast to me. Hope your depression ets better over October. Fall is such a great time of the year! Keeping depression and anxiety in check and getting words written sounds like a winner of a month to me. Enjoy your October! Words are good. You wrote more than me :) It sounds like October is the favorite month of a lot of bloggers. Congrats on the great word count. Super envy for the iPad Pro. 10,000 words in a month is AMAZING. Hooray for progress...and for getting closer to that working draft. Oh! Nice iPad Pro! Very slick. Congrats on working on your mental health/self care. It's important. Happt IWSG day! I just finished reading your story in the anthology Dark and was impressed. Fabulous story. Glad you got 10k out, that's definite progress:) Keep up the good work!